Recently, a new espresso stand opened up very close to the CakeSpy headquarters in Seattle, a little outpost of North Shore Hawaiian BBQ. Now, this is one of those places that looks like it might be awful or awesome, but probably not in-between. Admittedly, most of their bakery offerings--prepackaged muffins, biscotti and cookies--didn't appeal too much. But upon noticing that they fry up malasadas (little rounds of sweet, yeasty fried dough topped with granulated sugar) to order, a visit was definitely necessary. While waiting for the malasadas to fry up, however, I noticed something unusual: they were listed on the menu as Portuguese Doughnuts. Now, this seemed a big incongruous on a Hawaiian menu. Naturally, I ran home to Wikipedia the *&^% out of this. As Wikipedia tells me, it was a development borne of immigration patterns: "In 1878, Portuguese laborers from the Azores came to Hawaii to work in the plantations. These immigrants brought their traditional foods with them, including a fried dough pastry called the 'malasada.' 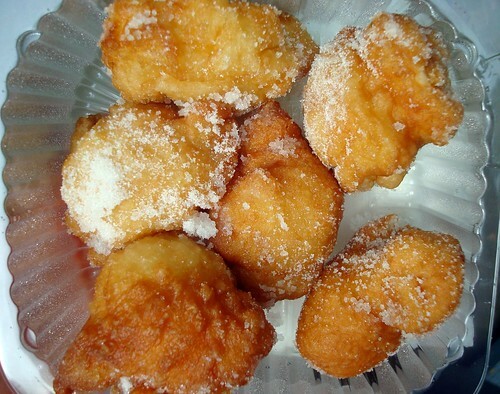 Today there are numerous bakeries in the Hawaiian islands specializing in malasadas." In June 1882 the British sailing ship 'Monarch' brought Arecnion & Amelia DoRego from San Miguel Island, Portugal to Maui under contract to work the sugar cane fields. Leonard and Margaret were no strangers to hard work, both coming from very large families. The bakery prospered. 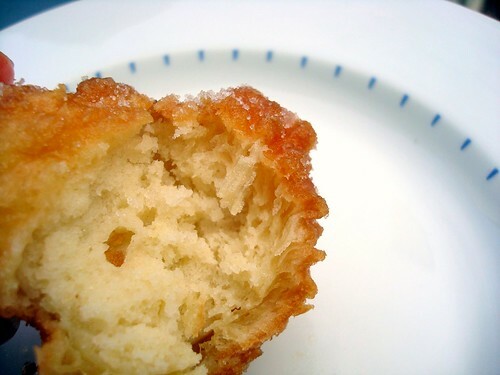 Not long after opening, Leonard's mother suggested making malasadas for Shrove Tuesday - a Portuguese tradition. Although thinking it may be too ethnic, Leonard's bakers complied. Malasadas were a huge hit. And, the appetite for malasadas in Hawaii was born. Due to Leonard's popularity Leonard required a larger, more modern facility, moving into their present location at 933 Kapahulu Avenue in 1957. These days, malasadas are closely associated with Hawaii. They're seen dressed up at fancy restaurants, they're sold out of mobile trucks, and they're naturally a delicious breakfast. Which brings us back to Seattle and North Shore Hawaiian BBQ. Remember how I said that this place was going to be either awesome or awful? Well, I can't speak to the savory fare there, but these malasadas were pretty awesome. They charmingly misshapen rounds, served unpretentiously in a plastic container and they were still hot and slightly dripping with the oil in which they had just been fried. The first irresistible bite, taken while they were still way too hot, was yeasty, sweet, pleasingly greasy, and, well, pretty perfect. 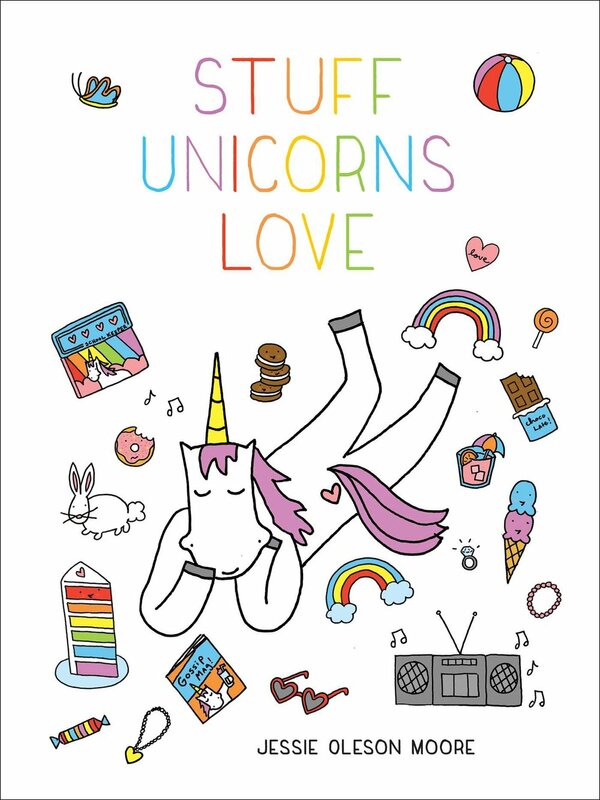 Of course if you're not in Hawaii or Seattle or Portugal, no need to panic. Here's a recipe (discovered via TastyIsland) for malasadas which are said to taste similar to the legendary ones at Leonard's! 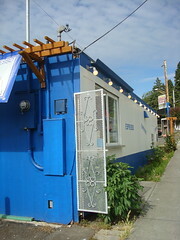 North Shore Hawaiian Barbecue, 101 Boren Ave. S, Seattle (206)621-1121; online at northshoreseattle.com. 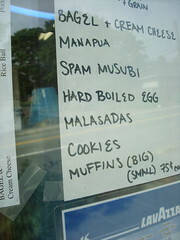 Leonard's Hawaii, multiple locations; online at leonardshawaii.com.